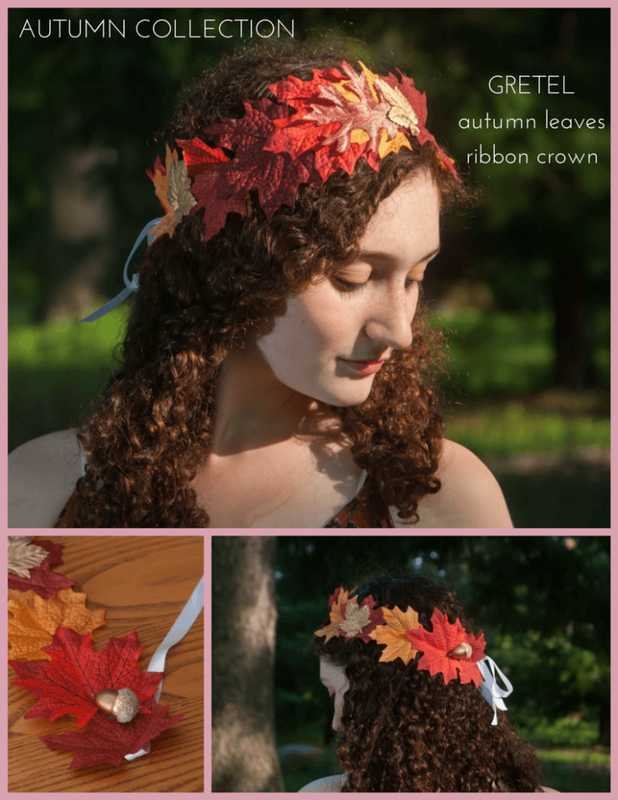 Two years ago, I opened an Etsy shop. 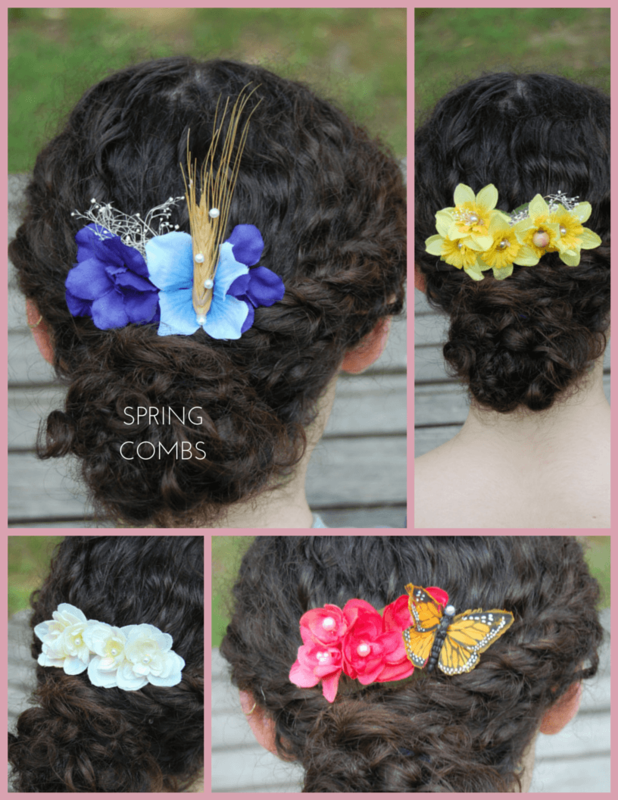 I had been making flower crowns and other hair accessories for four years and in the Spring of 2013, I finally decided to start selling them. 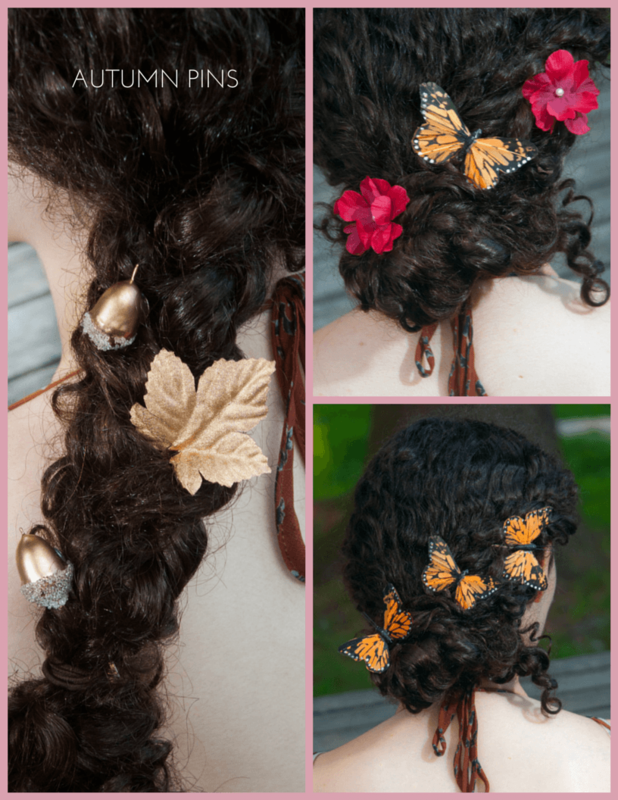 I had no idea how much work would go into owning and running an Etsy shop, but it was a wonderful learning experience and I absolutely loved it. Because I’m studying abroad, my shop Kabloem is on a long hiatus. However, I still love making floral hair accessories and sharing them with other people. 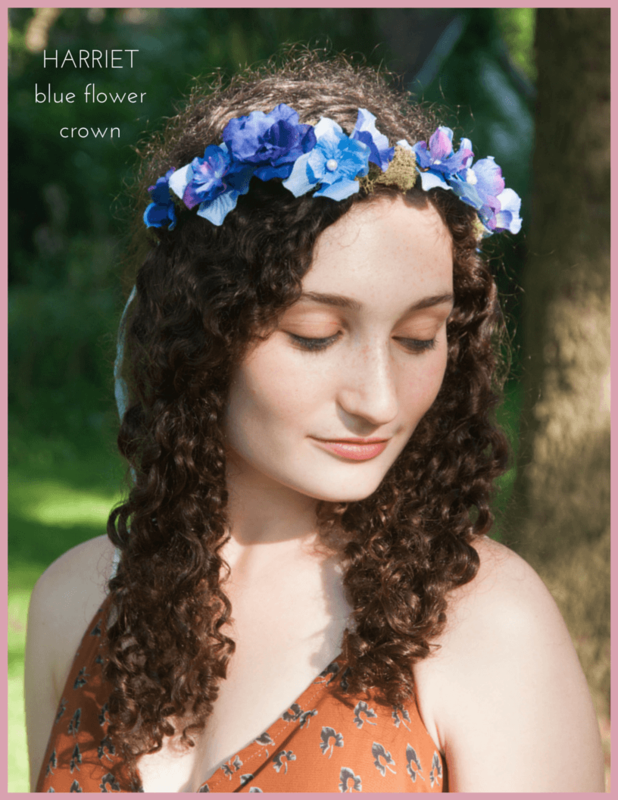 For that reason, today I’m sharing my Kabloem collection with you and hosting a giveaway of one of my handmade flower crowns! 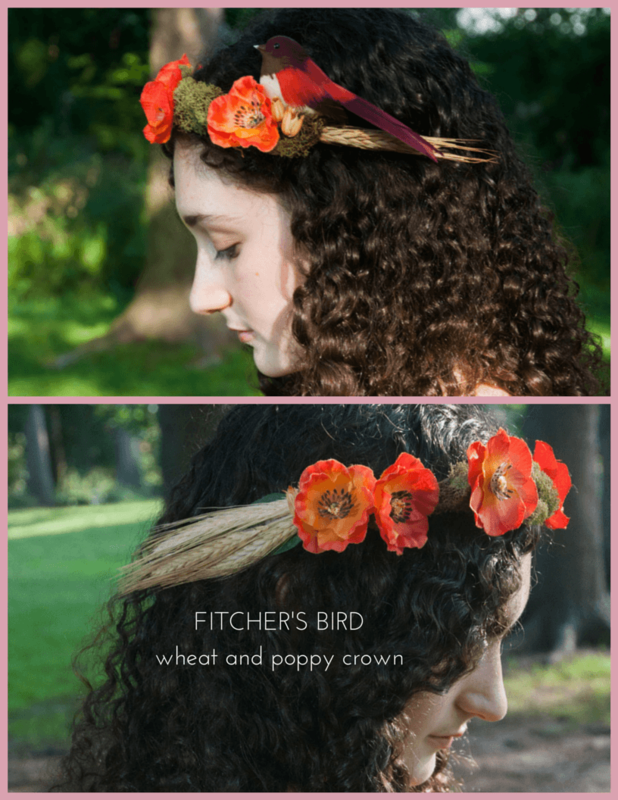 Read on to see the full flower crown collection, and to read the giveaway rules at the end! 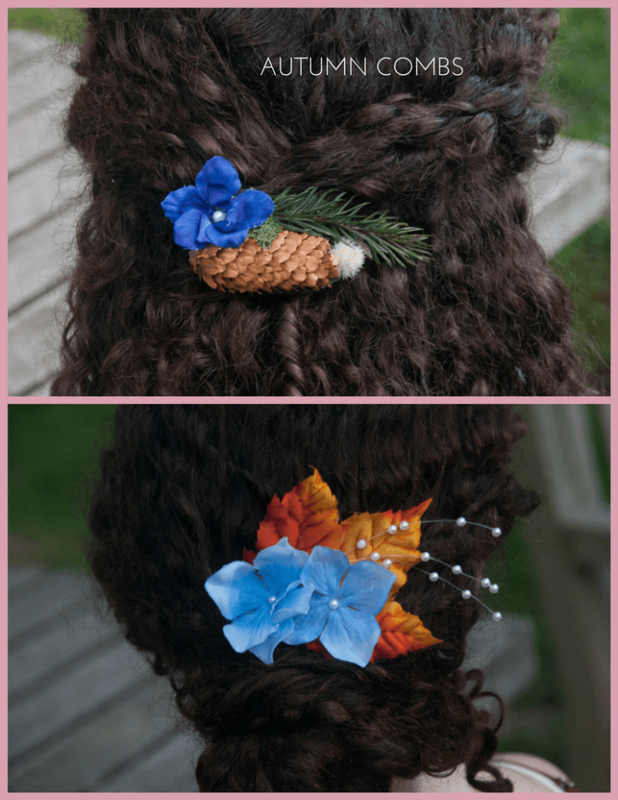 The Autumn collection is named the Grimm collection, and all items in it are named for stories from Grimm’s fairy tales. 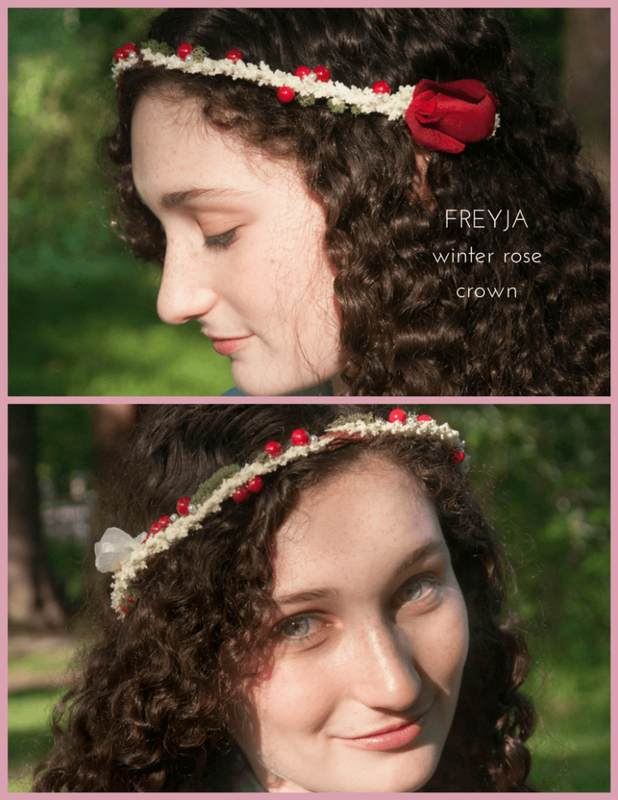 In the Winter collection, named Nordic Winter, all items are inspired by and named for Norse goddesses. 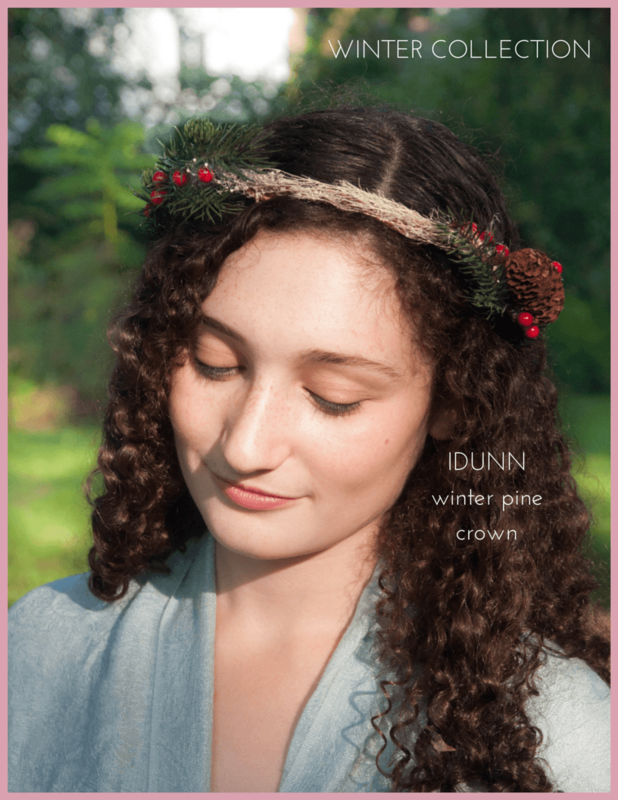 The Spring Austen Collection is inspired by and named for characters from Jane Austen’s novels. 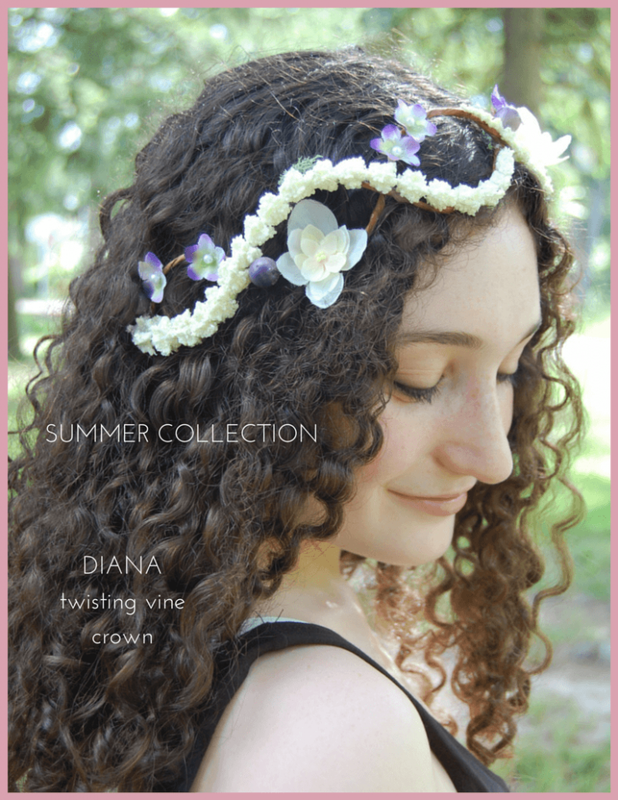 Finally, the Summer collection is named the Shakespeare Collection, with pieces named for characters from the plays of William Shakespeare. 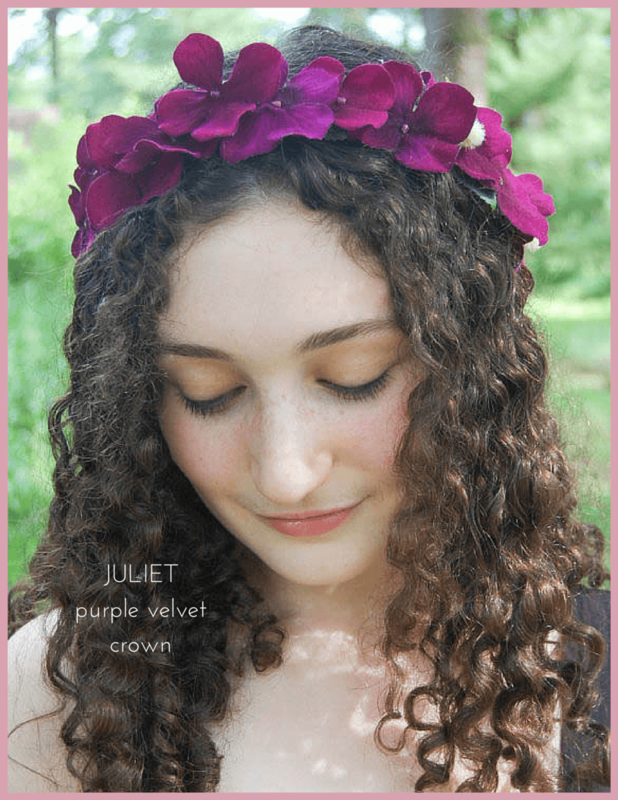 The Giveaway: A custom flower crown in the color of the winner’s choice! The Rules: This giveaway will run for five days, until April 3rd, 2015. 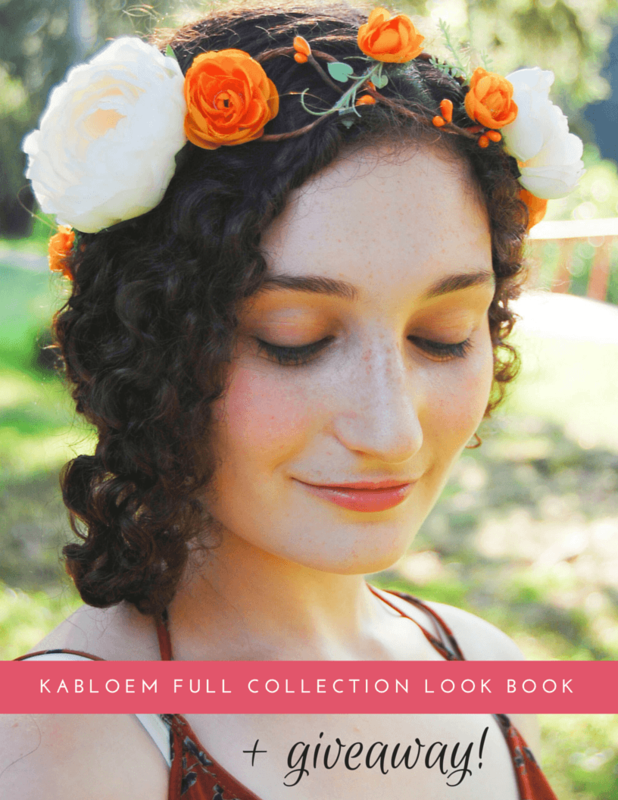 To enter, you need to do two things: (1) like the Kabloem Facebook page HERE, and (2) comment on this blog post with one flower crown from the collection you like, and why you want to win (e.g. 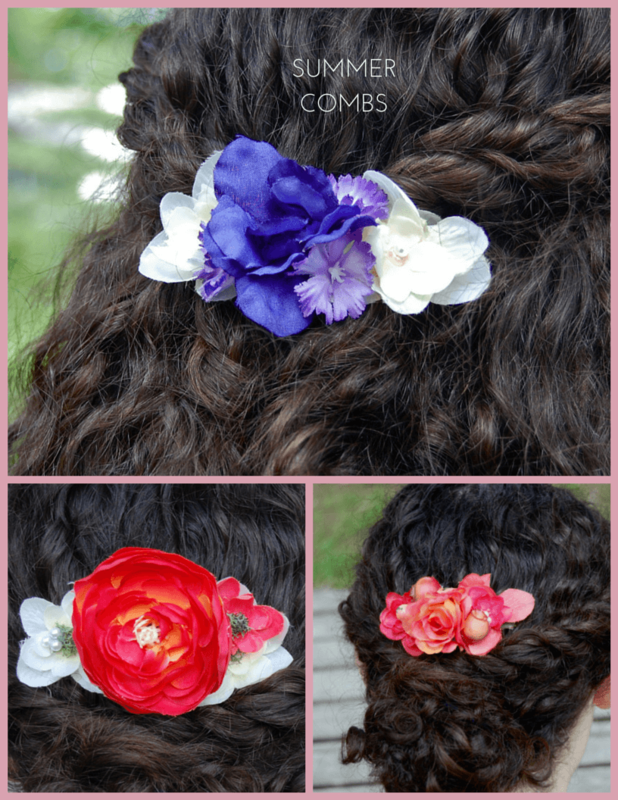 to wear it to a wedding, to your prom or graduation, etc.). On Friday, April 3rd, 2015 the giveaway will close at 12:00 PM EST and I will choose the winner on the basis of your comment. 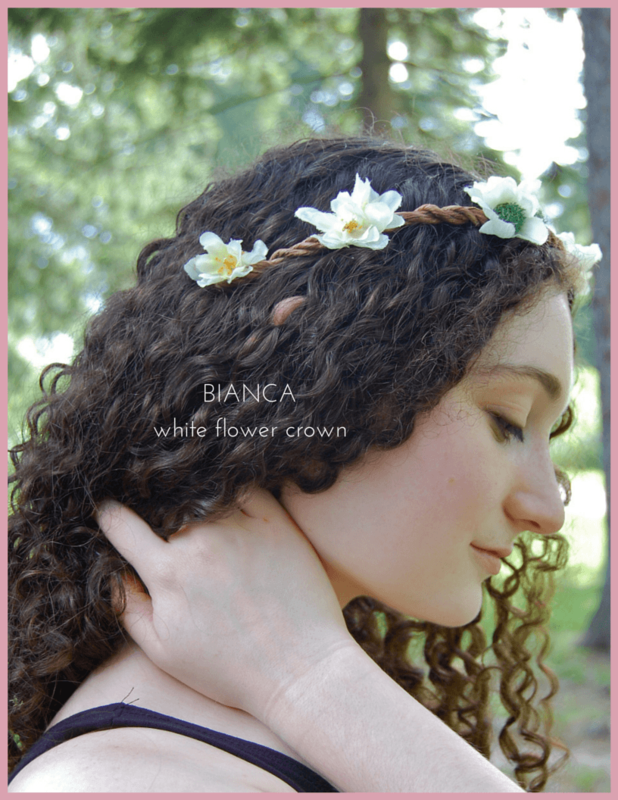 I will contact the winner that evening and ship the flower crown by April 8th, 2015! 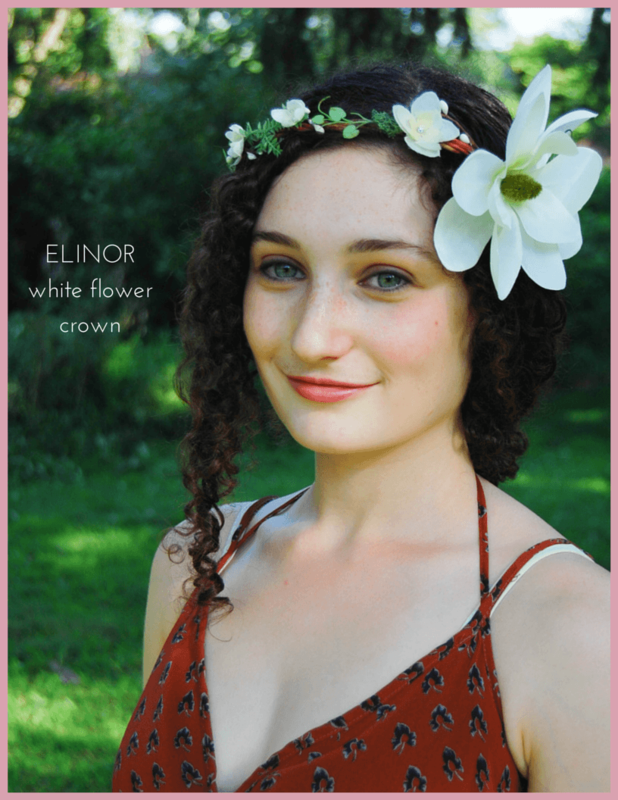 Which flower crown(s) do you like, and why do you want to win one? ETA NOTE: The giveaway is now closed, and I will contact the winner shortly! Thank you for entering! Sara, these are all so beautiful. My two favorites are Elinor and Hermione. 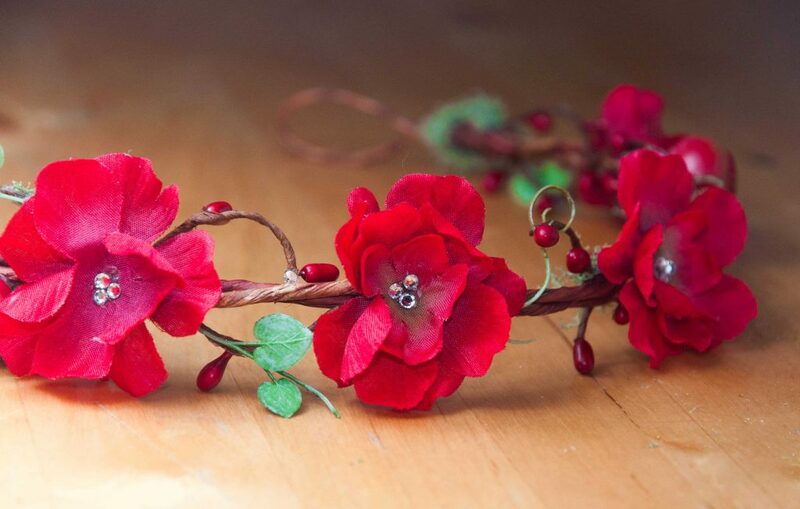 I’d like to wear one of your creations on my wedding day, which admittedly won’t be for a couple of years. 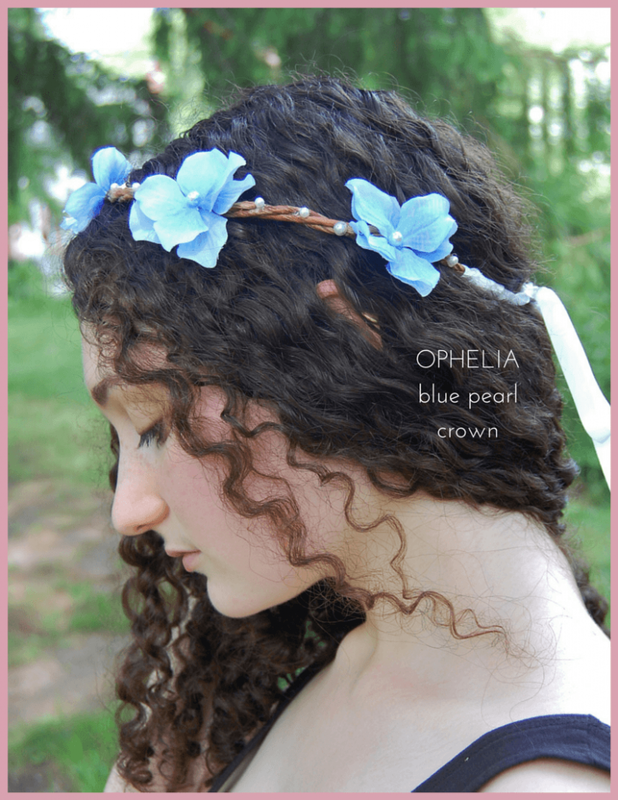 But I think something like your Elinor, perhaps in a very pale blue, would stand out against my red hair, and could be my ‘something blue’ besides! Awh, I love love love these! 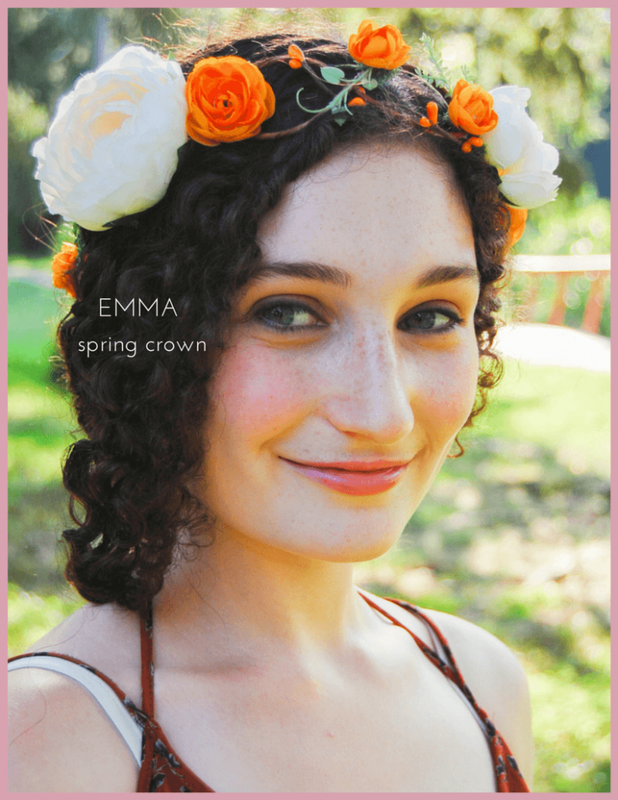 The Emma and the Bianca are beautiful! 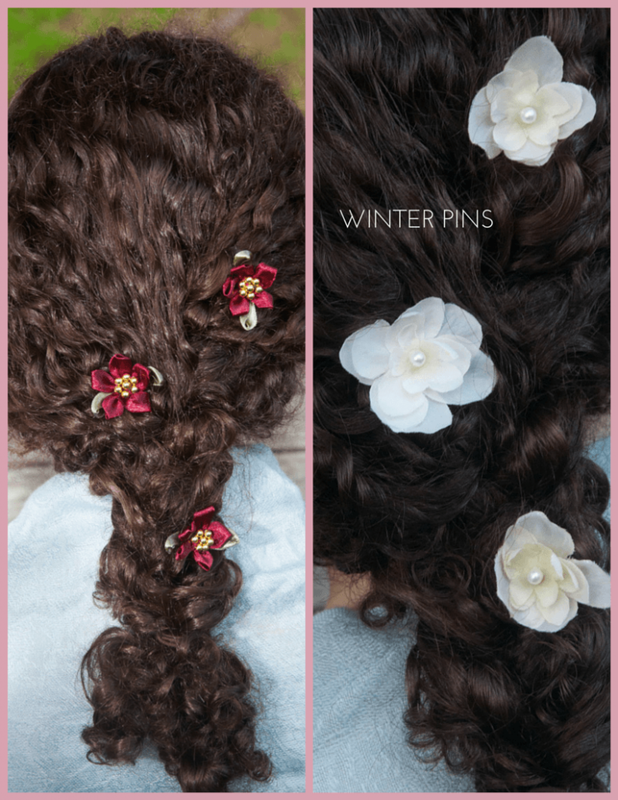 I love the white flowers and the summery spring look! 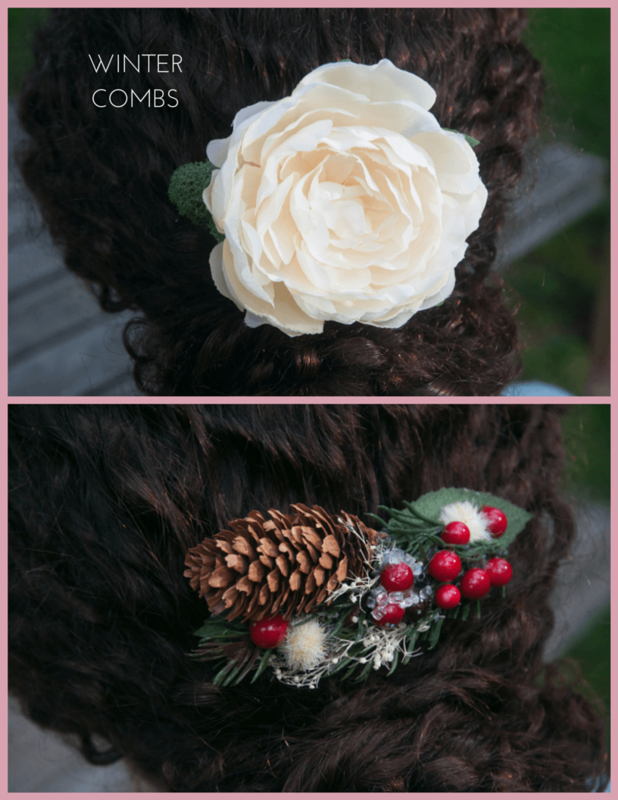 I am brunette and I think the white flowers would stand out really well with maybe some blush pink flowers as well! You are beyond talented! These are absolutely amazing! 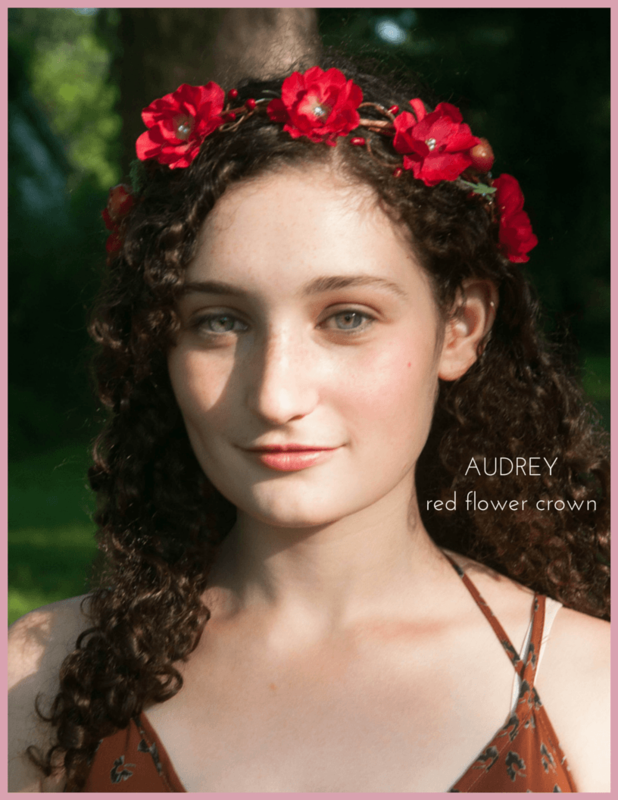 I really love the Audrey one, although Ophelia is a super close second! While I don’t have a special event in the near future, I would love to win for casual wearing around this summer! My style tends to be described as free spirited with a ton of crochet, lace, and flowy materials! 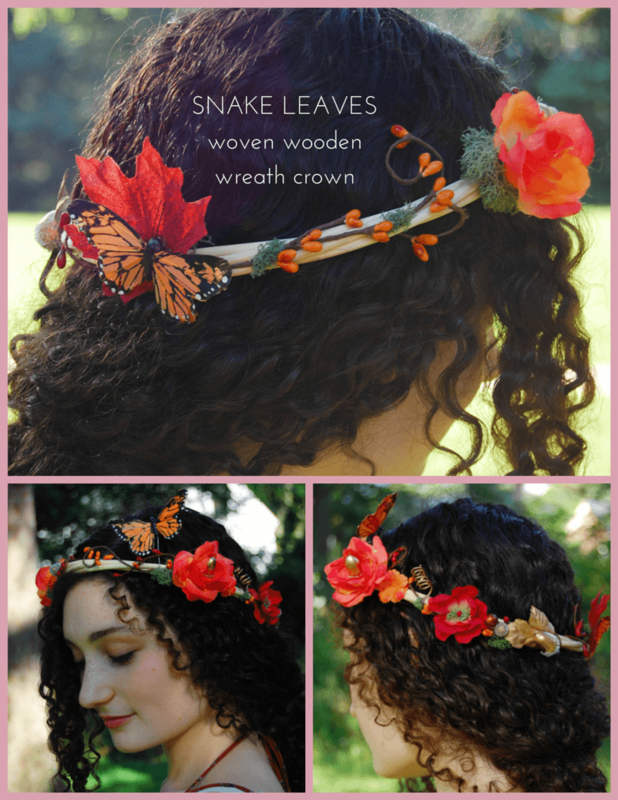 Flower crowns fit in perfectly and I can already imagine a dozen outfits to wear one with! 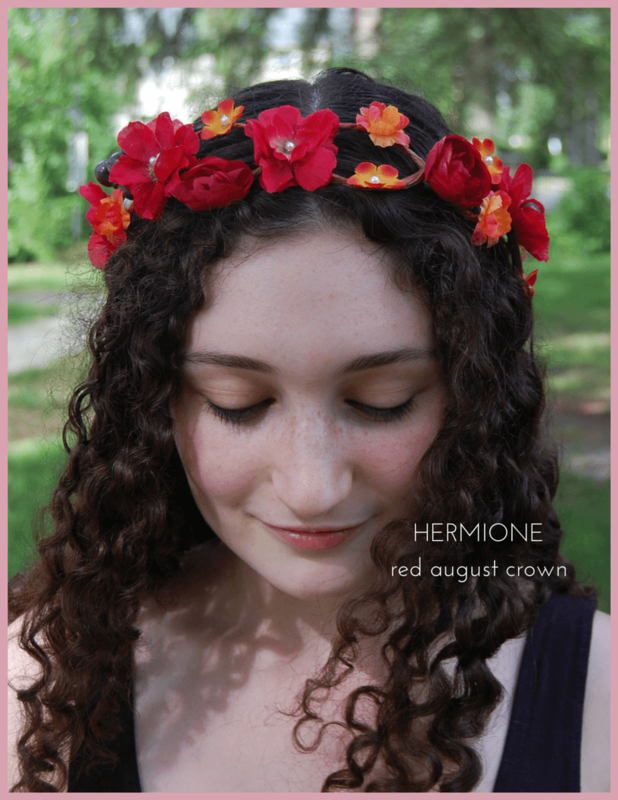 My favorite crown is the Hermione crown because I LOVE Harry Potter. All of them are so gorgeous, though! 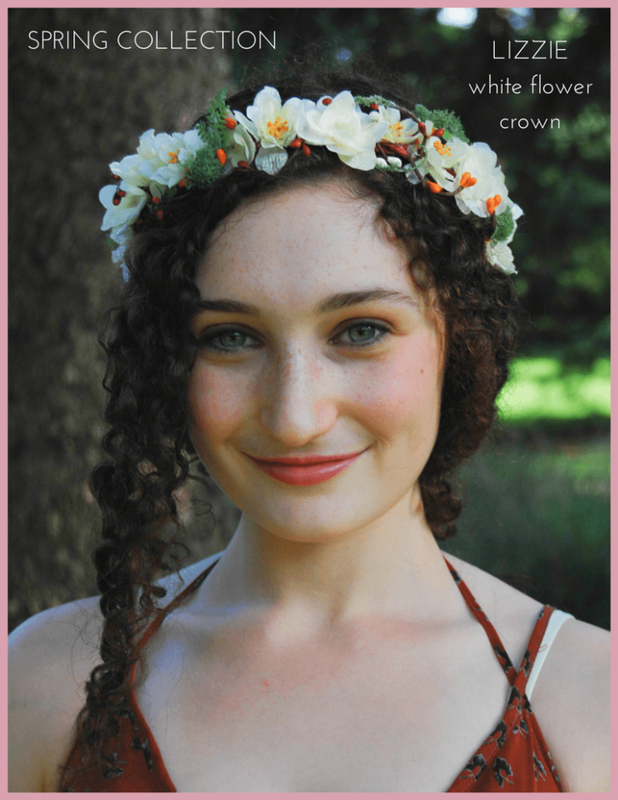 If I win a crown, I’d wear it on days when I’m feeling blah so I can cheer myself up. 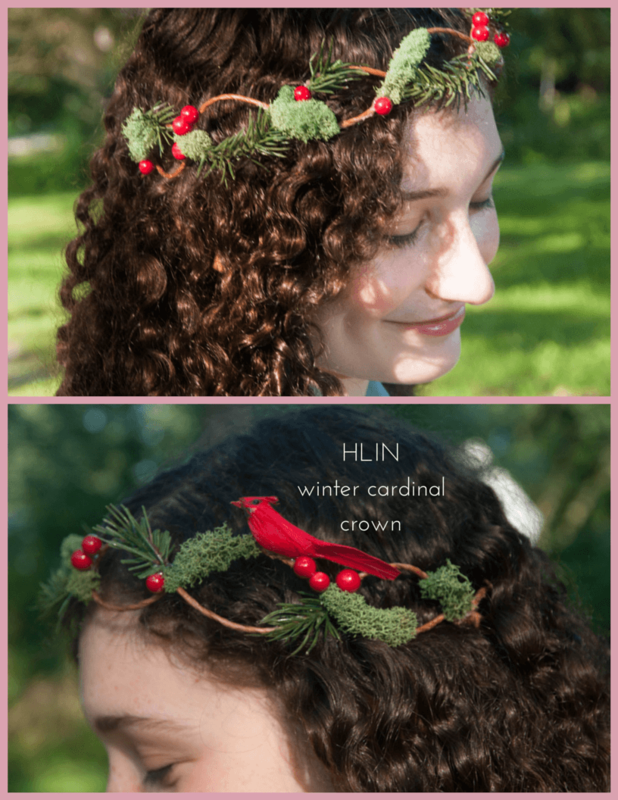 These crowns are all uniquely beautiful. 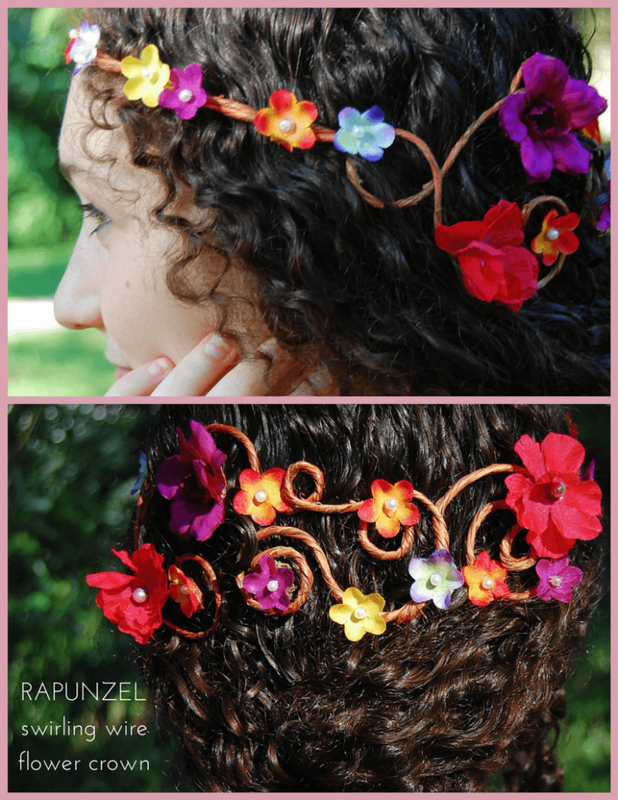 I think the Bianca design is my favorite for its simplicity and understated beauty, but I have to give you props for the Rapunzel. That design is crazy sick. I’m actually not hoping to win the crown for myself, but for my niece. We’ve been best buds since she was born and when she was four I moved to Kenya to be a missionary. I haven’t seen her for almost two years now, but I try to send her “princess” gifts every now and then to let her know I still love and miss her very much. 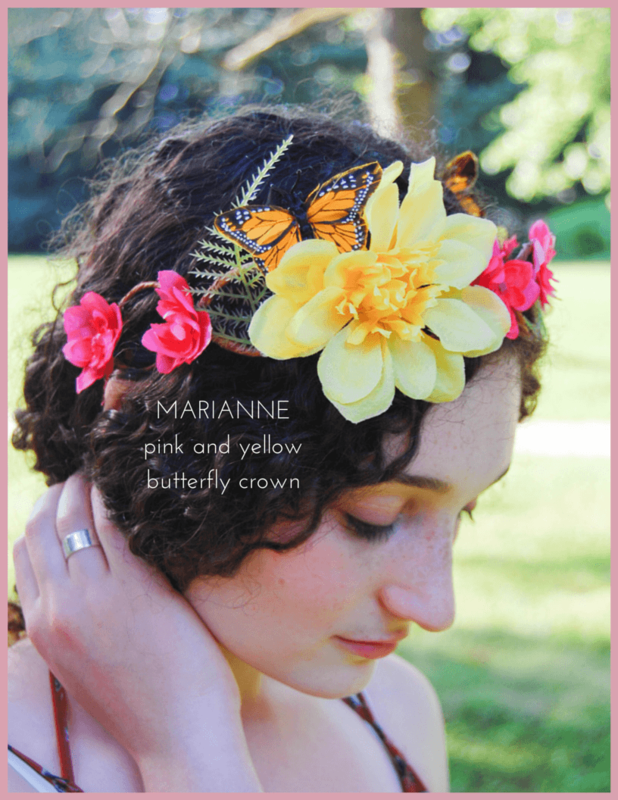 This crown would be the perfect princess gift and I know she would wear it every day, no big event needed. She’s a princess every day, of course!